Apache-II CD901, mighty and powerful CPU cooler, not only can it meet your basic requirement, but even beyond what you can imagine of "Entry level". Apache is with large dissipating area and powerful 90mm PWM fan to provide outstanding and efficient performance. 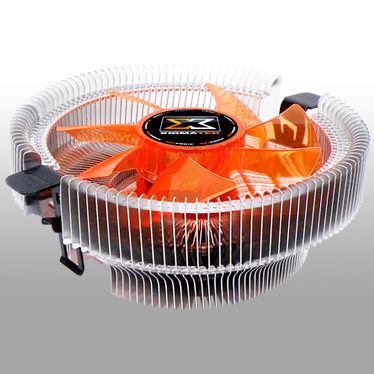 The transparent colorific fan is used to make Apache-II CD901 more value added. Silent cooling with new powerful 90mm fan.